When teaching kids (and adults) about the Bible, especially when reading the Old Testament, visuals help. Actually, pictures always increase learning because we remember more when we can attach a picture to words. When I was young my dad had a Bible history timeline that fascinated me because it connected Old Testament events with what was going on in the rest of the world, for example, Daniel lived at the same time as Confucius and Buddha. Dad had this one from Rose Publishing that I found on Amazon.com for about $4. It's not tall, but stretches out and is also available on CD (about $40) in the form of PowerPoint slides. 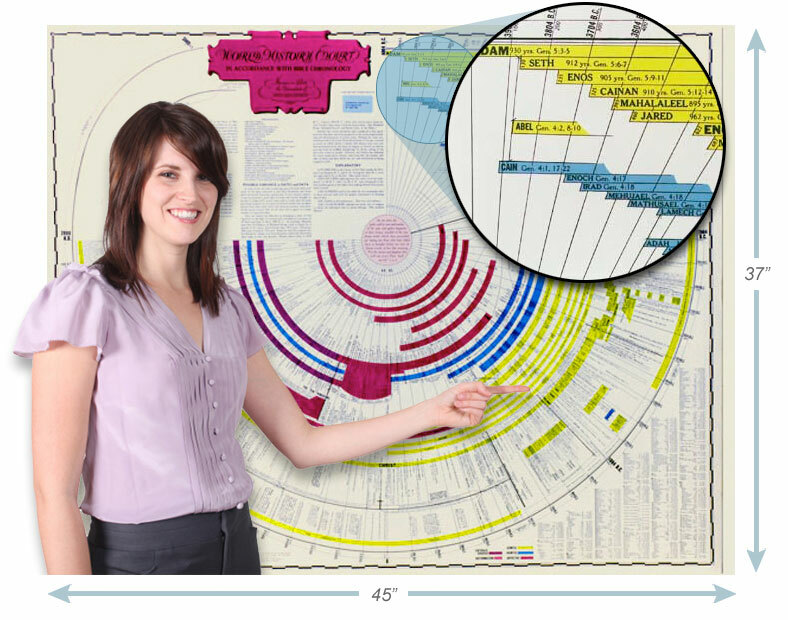 Actually, Rose Publishing has a number of great resources for Bible maps. There's also another one I've seen recently called the Amazing Bible Timeline. It's a large poster (37" x 45") and is in a circular format. 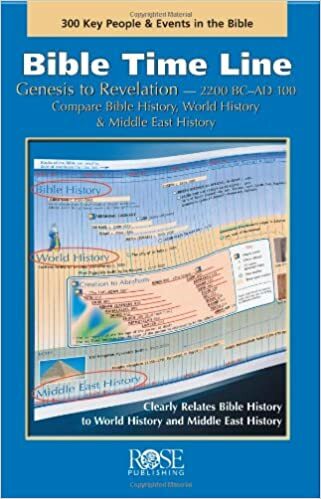 Right now it also comes with a few bonus items: 1) Interactive Maps of the Holy Land that can be downloaded, and 2) Digital Amazing Bible Timeline that is also downloadable for projecting in larger rooms or classes. It's all for about $20 and is worth checking out. I don't know how long the bonuses will be available. shows the whole timeline well. These can all be used for middle or high school Bible study, adult Bible study, and even would be very beneficial for a sermon. Don't forget the power of visuals in sermons.